To sign our petition to make this the last G7 summit, click here. The upcoming G7 summit is likely to discuss the role of transnational capital under the theme of "investing in growth that works for everyone". The Canadian Press has reported, "Canada hopes the [G7] meetings will generate fresh ideas on how aid money can be leveraged to entice the private sector to boost investments in poorer parts of the world. ...Earlier this year, [Canada] became the last G7 country to create a development finance institution [to lure more private capital into developing nations as a way to help make up for inadequate levels of foreign aid]." 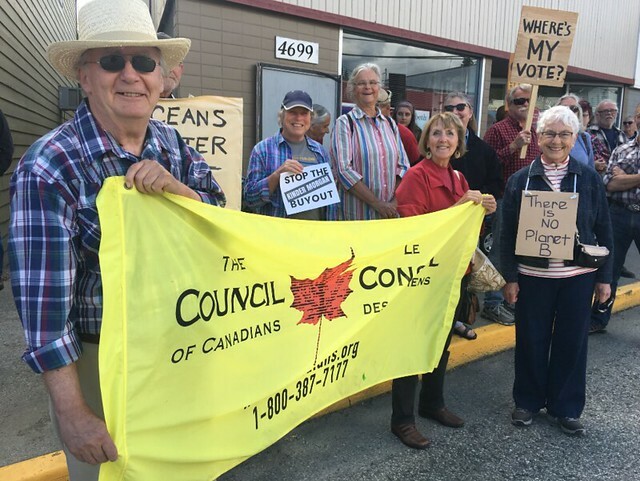 Maude Barlow has stated, "Droughts, climate change and over-extraction continue to impact our finite groundwater sources. We need to move to a bottled water free future to protect aquifers that communities rely on for drinking water." Will the upcoming G7 summit in La Malbaie, Quebec discuss a plan to move us toward a bottled water free future? The Canadian Press reports, "Doubt is percolating about Canada's ability to deliver on its two biggest environment commitments at this week's G7, with no agreement yet on a plastics waste charter and Canada's recent pipeline purchase casting a pall over its commitment to climate change." 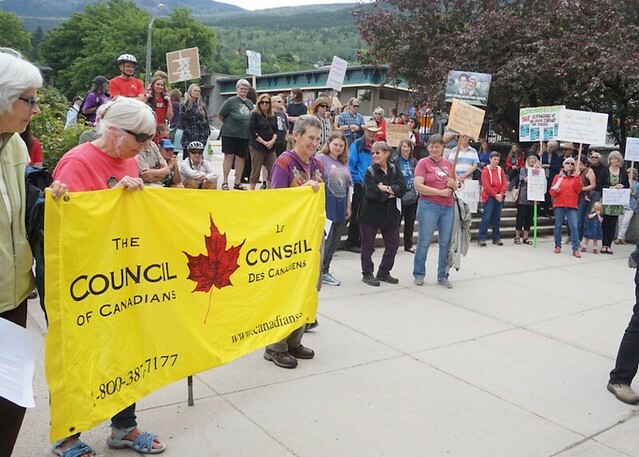 The Council of Canadians protested outside the G7 finance ministers summit in Whistler last weekend. Just days earlier Finance Minister Bill Morneau had announced the Trudeau government would spend $4.5 billion on buying the Kinder Morgan pipeline. A new study just released by four organizations - the International Institute for Sustainable Development, the Natural Resources Defense Council, the Overseas Development Institute, and Oil Change International - reveals disturbing information about G7 support for Big Oil and the fossil fuel industry as a whole. Blue Planet Project founder Maude Barlow is now at the 'Toward a Greener Attica – Preserving the Planet and Protecting its People' international ecological symposium in Athens, Greece, where Bartholomew I has just spoken. Bartholomew I is the Archbishop of Constantinople, is regarded as the primus inter pares (first among equals) in the Eastern Orthodox Church, and is the spiritual leader of 300 million Orthodox Christians worldwide. His commitment to ecology and environmental protection has earned him the title 'The Green Patriarch'. Barlow tells us that in his address he talked about Paris and Berlin being blue communities, celebrating Thessaloniki becoming a blue community just yesterday, and said that all of Greece should become a blue community. Read more about WIN! Thessaloniki becomes a blue community! Kimy Pernia Domico was an Indigenous Embera Katio water justice activist in Colombia who was disappeared on June 2, 2001. At the time of his disappearance, the Council of Canadians issued a media release that expressed deep concern for his well being. 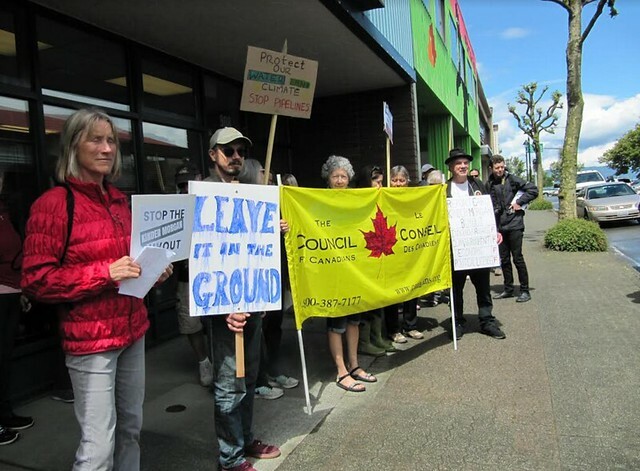 It also noted, "Pernia has been invited as a guest of the Council of Canadians to speak at the international conference, 'Water for People and Nature' being held in Vancouver July 5-8th. Prior to the conference, he is scheduled to undertake a cross-Canada tour to talk about water and human rights." The Council of Canadians will be participating in marches and demonstrations in Quebec City against the G7 summit taking place in La Malbaie, Quebec. The Globe and Mail reports, "The Group of Seven summit unfolds next Friday and Saturday in La Malbaie, nearly two hours’ drive northeast of Quebec City. But the remoteness and massive security deployment at the summit site, coupled with the presence of hundreds of international journalists in Quebec City, is fuelling predictions that Quebec’s picturesque capital will [be the focal point] of anti-summit demonstrations." The article continues, "Ten schools have announced they will shut for two days and daycares are telling parents to keep their kids home [and] 1,000 police officers are being put on duty in Quebec City, starting Thursday."